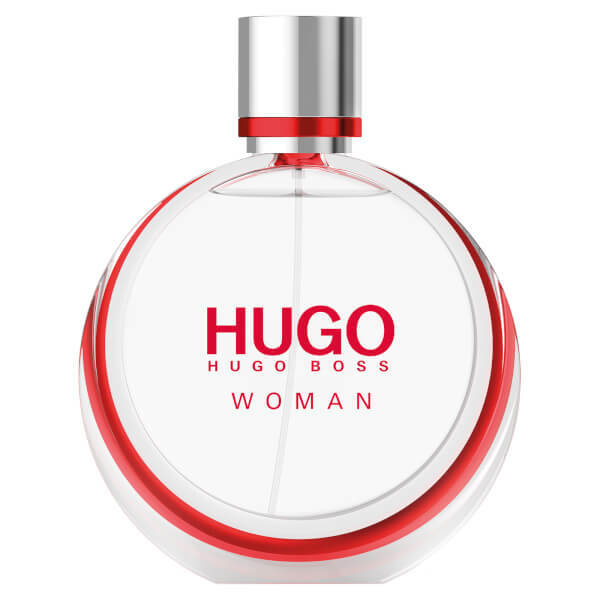 Hugo Boss HUGO Woman Eau de Parfum is an elegant yet provocative perfume that celebrates a woman's individuality. Playing with fruity and floral accords, the exquisite fragrance forms a distinctive and delectably unconventional scent. The HUGO woman embraces creativity and self-expression. She revels in the ripe top notes of Boysenberry and Italian Mandarin, and enjoys the unexpected dash of Black Tea at the heart. The EDP settles on a lush, compelling base powered by warm woods and rich Amber. Top Notes: Boysenberry, Italian Mandarin, Himalayan Red Grass. Heart Notes: Jasmine Sambac, Black Plum, Iris, Indian Black Tea. Base Notes: Sandalwood, Cedar, Amber. Apply to pulse points in the morning for a confident, refreshing scent that lasts. Alcohol Denat., Aqua (Water), Parfum (Fragrance), Ethylhexyl Methoxycinnamate, Diethylamino Hydroxybenzoyl Hexyl Benzoate, BHT, Limonene, Alpha-Isomethyl Ionone, Geraniol, Hydroxyisohexyl 3-Cyclohexene Carboxaldehyde, Linalool, Citronellol, Citral, Anise Alcohol, Ci 60730 (Ext, Violet 2), Ci 17200 (Red 33), Ci 19140 (Yellow 5), Ci 42090 (Blue 1).